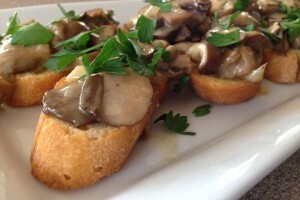 Mushroom Bruschetta – Enter Your Favorite Mushroom Recipe to Win $500! 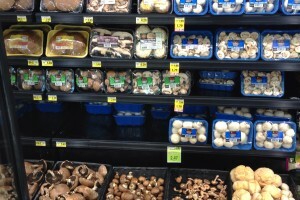 I love the ‘shrooms, man. Wait, I know what you’re thinking…not me, bro – those times are long gone. These days, I satiate my curiosities through my palette. I love cooking. I think it runs through the DNA of our family. Both of my parents experimented in the kitchen while we were growing up, as my brothers and I stood on stools, observing their techniques. I even went as far as eventually hand-tilling my own vegetable garden every spring and working in the kitchen at a local historic country restaurant all the way through high school, prepping, making fresh pasta and doing the occasional dessert. My younger brother, Eric, just got done working as a sous chef under James Beard Award nominated Wesley Genovart, currently the executive chef of SOLO, a farm to table restaurant in Londonberry, VT. 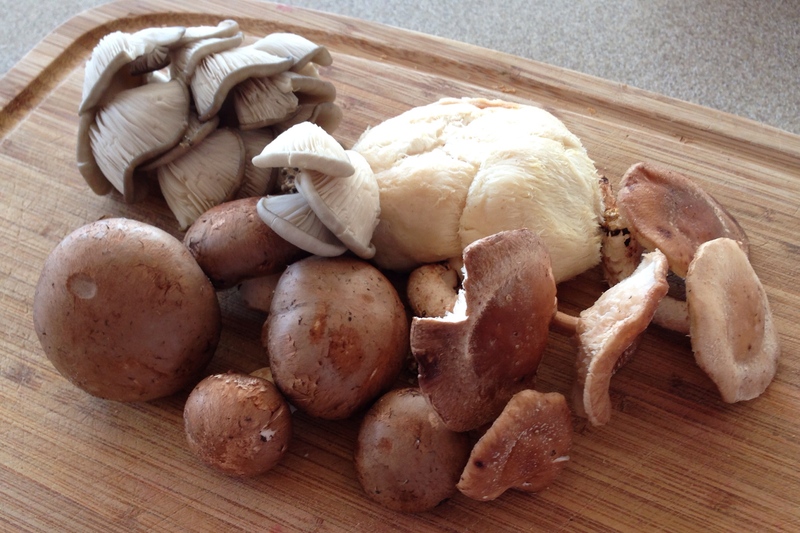 I grew insanely jealous of my brother’s stories about how everything was made from scratch and how they would take a few hours each week to forage the wilderness at the base of the Green Mountains for shittake, porcini and hen of the woods mushrooms. I love cooking for my family. Over the past few years, I’ve ‘home-cheffed’ my way through twenty-something different cookbooks and continue to sift over my Bon Appetite Magazine each month and pick a few dishes to experiment with for my wife and kids (sometimes Ava and Charlie..they’re still kinda anti-gourmet and Jen is the queen of the casserole). 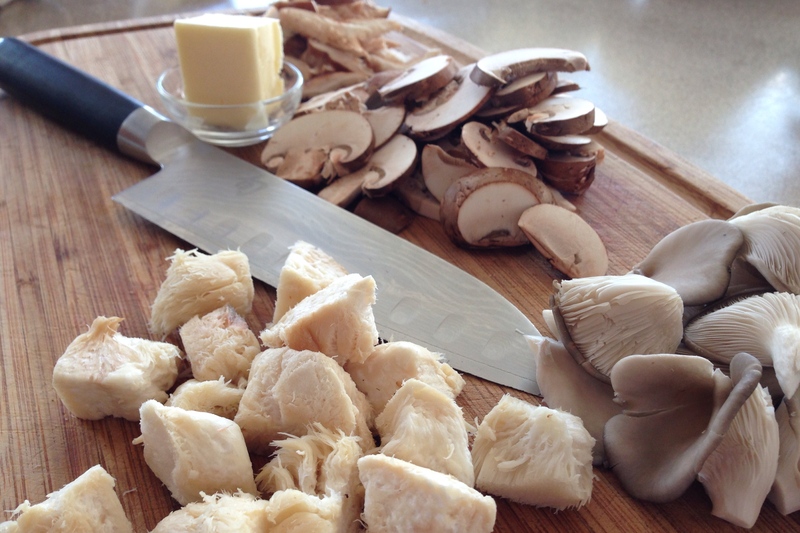 Mushrooms just happen to be one of my favorite ingredients. They can be sauteed and laid over steaks, finished with a bath of rosemary and butter, portabellos stuffed and done on the grill, or even sliced, diced and folded into a quiche – the possibilities are endless. I felt like it was fate this month when Life of Dad asked me to partner with them, as well as the official Mushroom Council to promote #shroomtember – by creating and sharing one of my favorite original recipes BUT also giving my readers the scoop on three different contests this month, each providing a chance to win $500. You can read all about the different contests, entry details, rules and regulations, right here at Life of Dad. 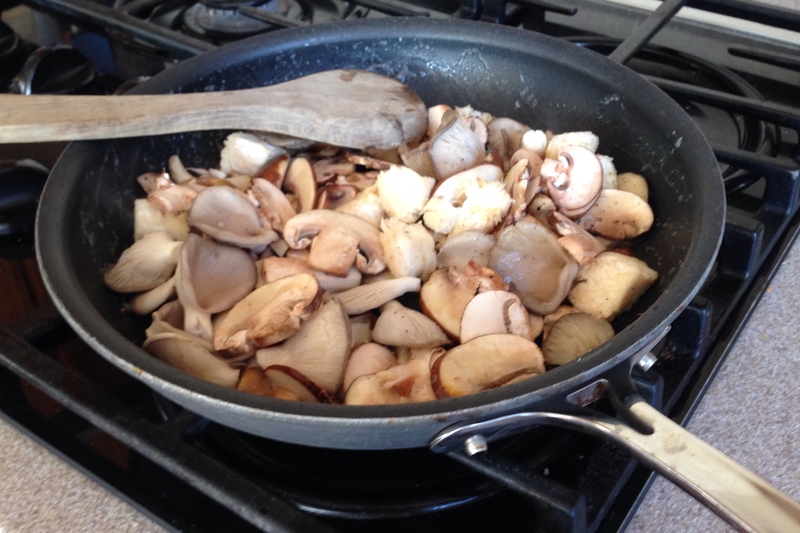 Create a quick, simple dinner featuring mushrooms that any parent can throw together after a long day of school, soccer practice and work. Make it delicious, but also make it simple. 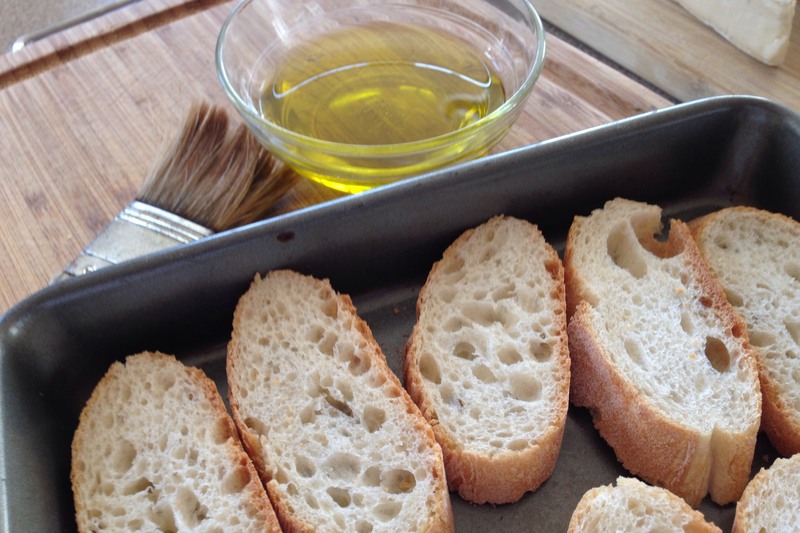 Your meal should be something that will soon be in everyone’s weekly rotation. Here’s the deal. This recipe may not totally qualify as a full-on entree, but it certainly raises the bar for the snack foods that you can put out during half-time on Sunday afternoon with a few friends stacked around your living room OR even include it as an hors d’oeuvre the next time you have company. My wife, Jen, actually first cooked this for me when we were dating. 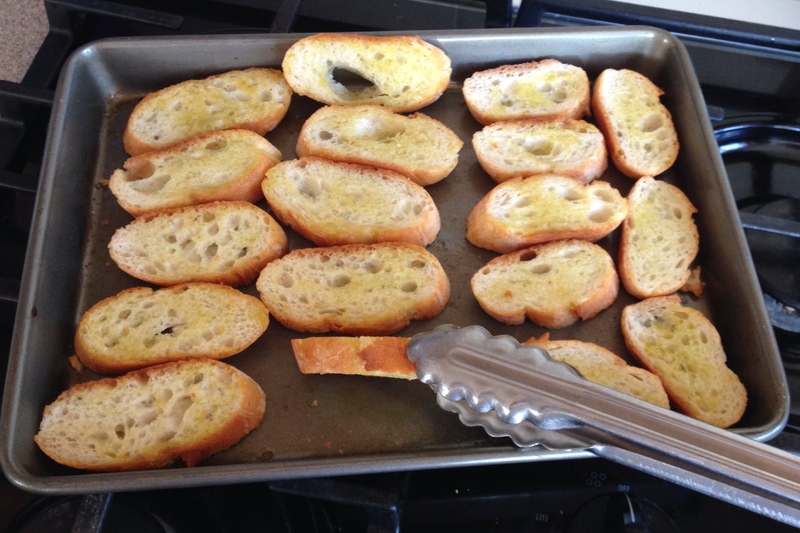 I was used to the normal bruschetta – but paired with this monster, it didn’t even compare. Over the years, we’ve made a few small tweaks and modifications, but we’re set on this version. 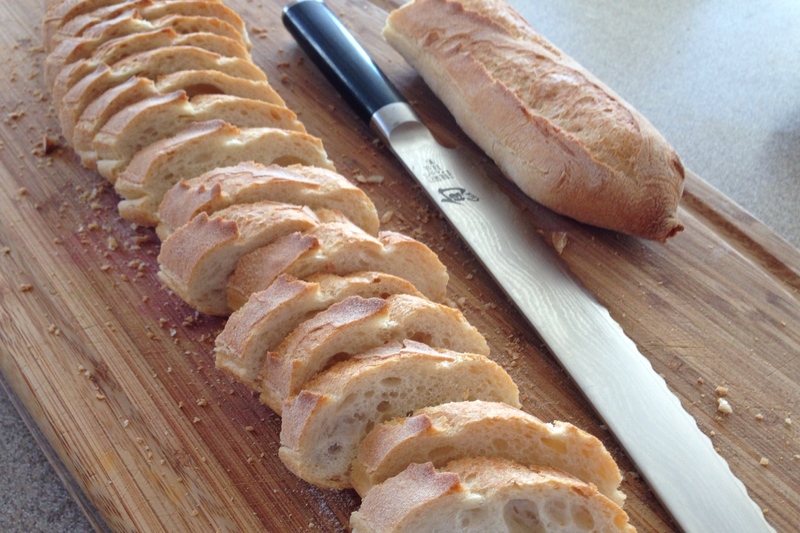 Slice up your baguette into crostinis. Brush those bad boys with a little extra virgin olive oil – so what if I use a paintbrush from Home Depot. I usually bake these around 350 for a few minutes, pull out and flip. About 7 or 8 minutes total. 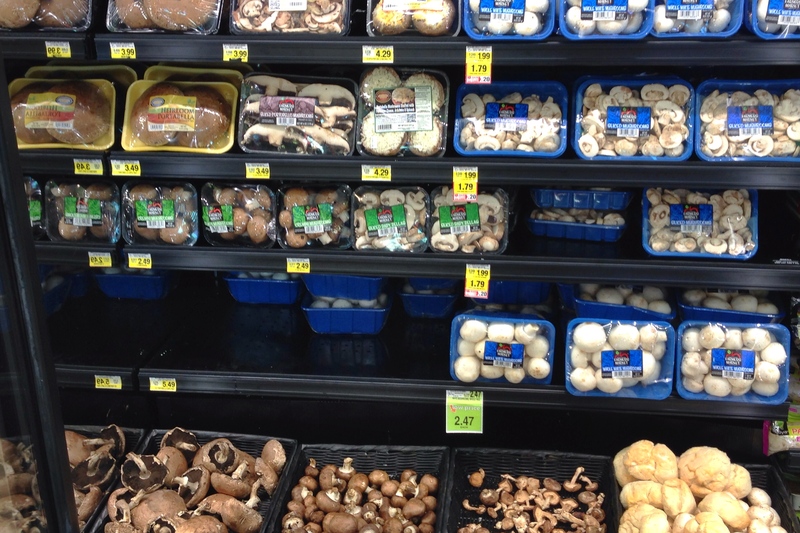 Clean off your mushrooms. Don’t rinse or submerge in water – they’ll soak it up like a sponge – instead, use a damp cloth and polish them. 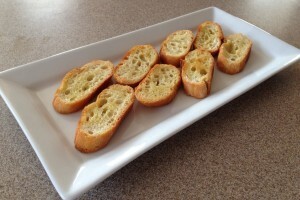 I like an assortment for this recipe – slice them up in bite-sized pieces and prepare to saute. 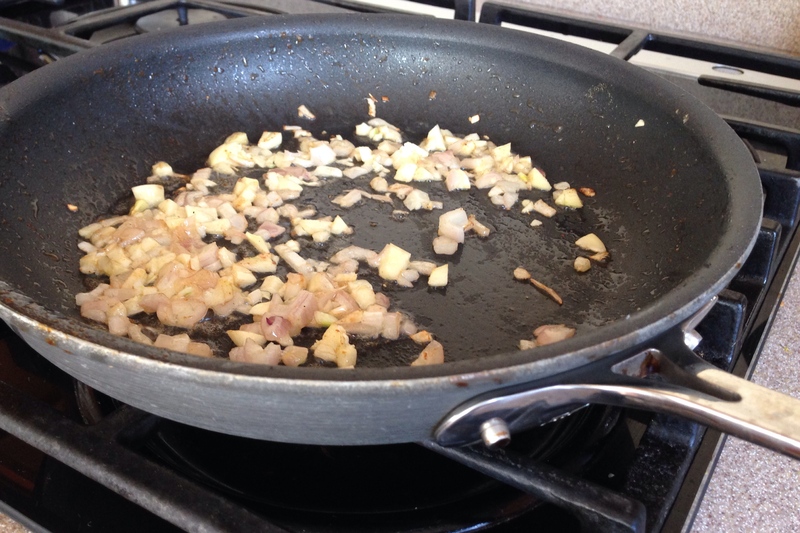 Mince up a little shallot and garlic – add to a medium heat non-stick pan with about 2 tablespoons of butter and cook until almost translucent. Add your sliced mushrooms to the mix of garlic and shallot and cook until soft. Add the white cooking wine and give it a few minutes to cook off. Remove the rind from a small wedge of brie and cut into cubes. 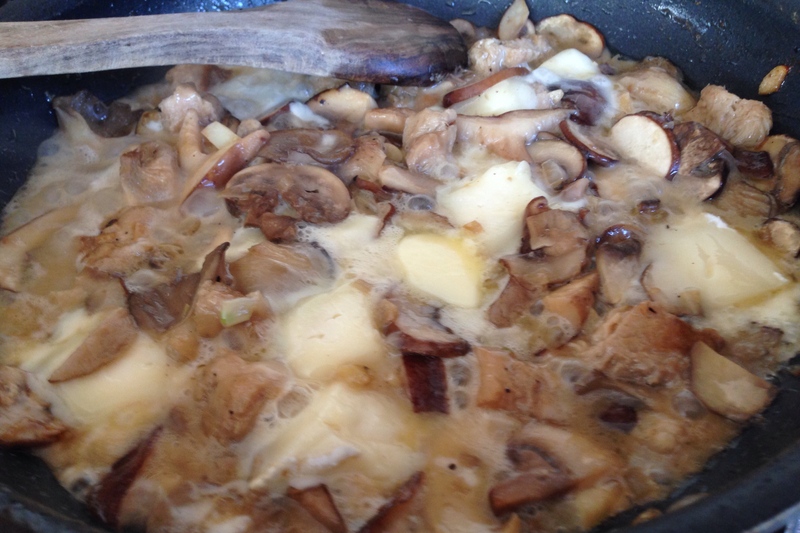 Add the cubes of brie to your mushrooms and cook for a few minutes until the cheese completely melts – forming a nice, gooey, delicious sauce. 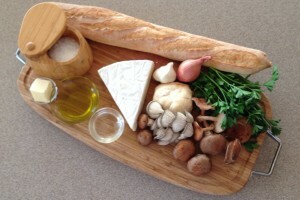 Plate your bread and use a small spoon to scoop the mushrooms and cheese onto each crostini, using just enough to cover each one. Sit back and enjoy this amazing mushroom bruschetta. Click HERE to check out the contest details, I’m excited to see what you guys can come up with over the next few weeks! Each week offers the chance to win $500! 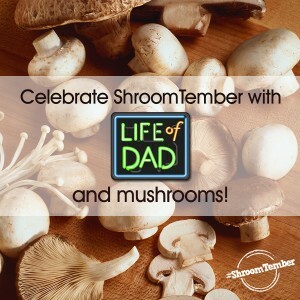 Disclosure: I have partnered with Life of Dad, LLC for the #ShroomTember promotion. Sponsored by The Mushroom Council, the #ShroomTember promotion gives anybody the chance to win a $500 Visa gift card. « School is Cool, Fool. YUM. 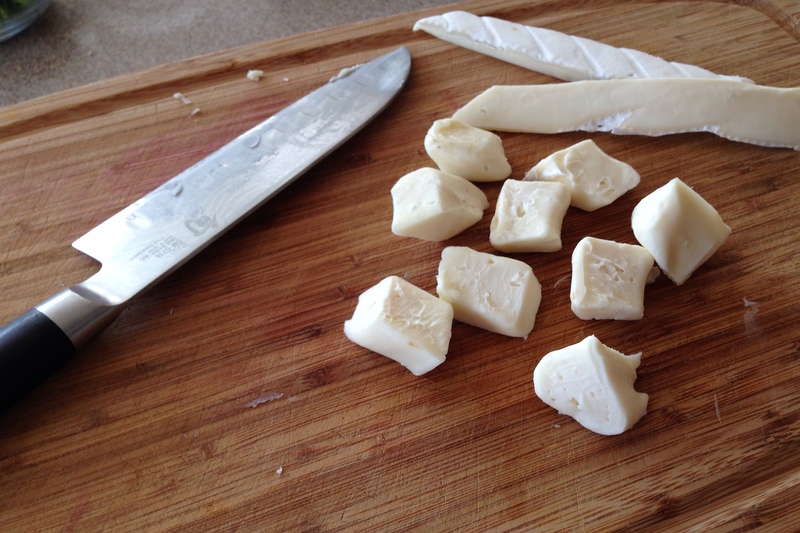 Genius use of Brie.